It all starts out innocent and fun. The box is colorful and touts promises of ease, tugging at your heartstrings to give it one more chance for creative fun and delightful family memories. Spirits are high as the icing tube is first snipped and begins to flow. You (and I really mean me) don't even get rankled when sweet daughter announces that Daddy is a much better froster (technical term) than Mama. But somewhere in the dark recesses of my brain I knew our fun would be short lived. The gingerbread houses, they hate me. 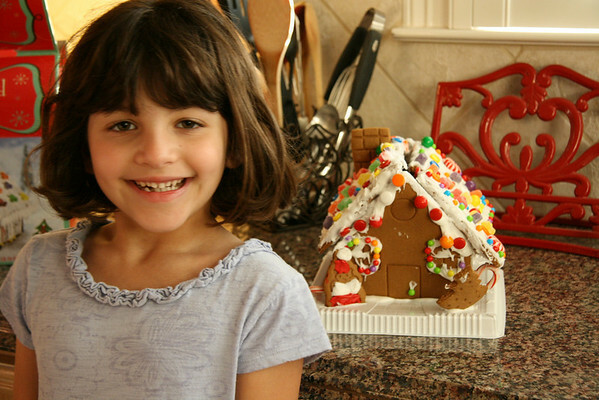 We squeezed icing, we carefully built the frame, we artfully arranged the colorful candy. We smiled, we laughed, we nibbled. All was well. 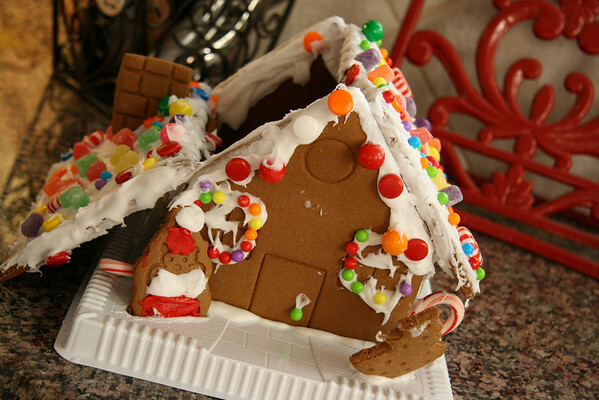 We spent the next 20+ minutes trying to keep the roof from doing what gingerbread houses are evilly designed to do, which I am thoroughly convinced is slide down to the counter 8,264 times. Daddy, the engineer type, tried to tell us what to do, but Annelise and I, the more free-spirited types kept trying to add candy and make it all cute and homey. We soon realized we were doomed. And we were all kind of over the whole thing. And then we just let gravity take over. And possibly a small earthquake (not really sure what happened there). And just think, we get to do it all over again next Christmas. What luck to have happened upon your blog after Googling "pink Christmas tree" of all things! I will soon begin training for my first marathon and am looking forward to reading about your running experiences. 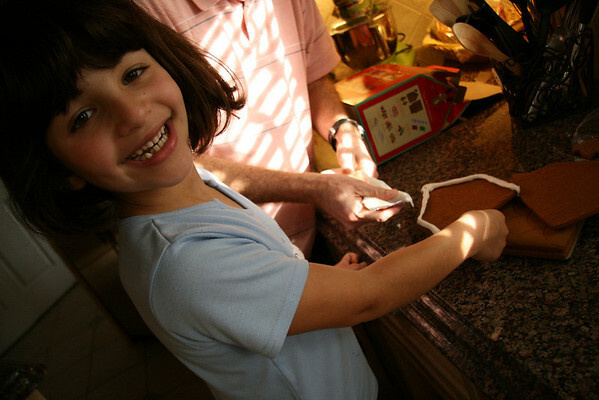 As for your gingerbread house-- LOL! This is what family memories are made of! 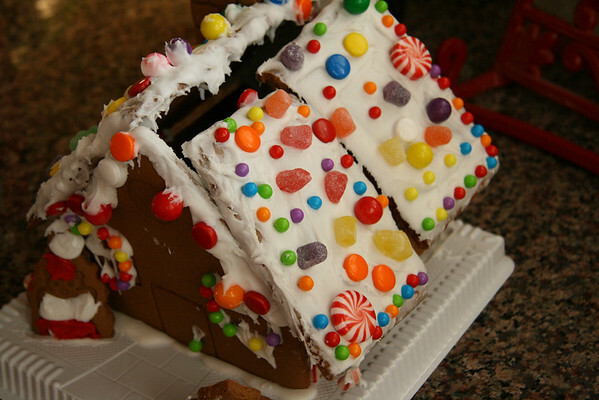 I have always felt the exact same about Gingerbread house...so much engineering! I finally bought a reusable house this year...so we can enjoy the decorating, and stop worrying about it falling apart! This is funny. I feel like so many of the "fun" traditions surrounding Christmas end up being like this. Like when I made sugar cookies the kids the other day and we ended up with flour everywhere (i.e., floury handprints all over their clothes) and then with disappointing cookies. We used 10 cups of flour for a big double batch and they aren't even very good! That is real life Christmas - never as it appears on the box or in the magazines. I love it! 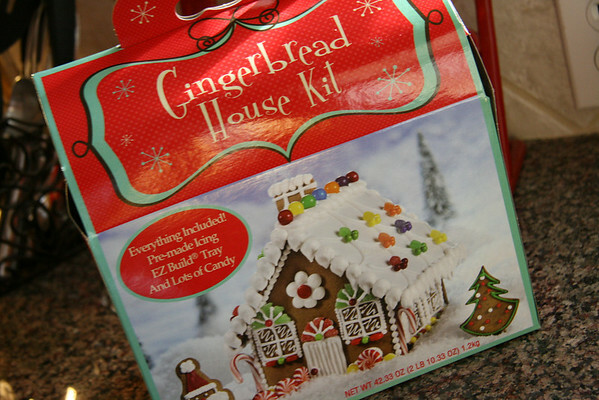 This year we decorated pre-built gingerbread house kits bought at the Walzmart. It was so much easier! I didn't use the icing that came with it - just used store bought cake icing.